Old map by CALLOT -La possedee ou l'Exorciste.. Title: La possedee ou l'Exorciste.. Size: 11.8 x 8.7 inches. 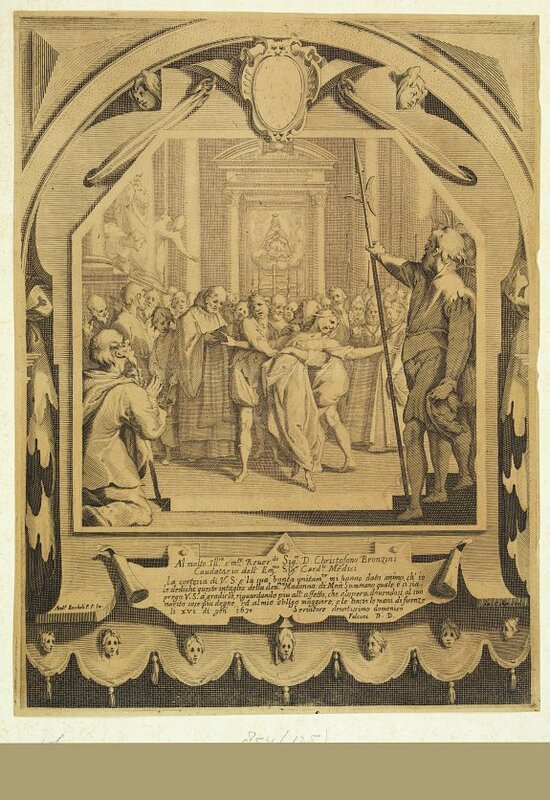 Etching and engraving showing:"La possedee ou l'Exorciste", within a decorative surrounding. Originally drawn by A.Boscholi P.F.